We have designed a special Seller Acceleration program to help reduce your property's days-on-market and assist you in attaining your most favorable selling price. We offer full service discount real estate services in Pennsylvania and New Jersey. Take advantage of the changing real estate market in 2019. Conditions have shifted to more of a balanced approach between buyers and sellers due to historic low interest rates and low inventory levels. To successfully sell a property today, sellers need to pay special attention to the condition of their property. Buyers can be a lot more selective. Properties must be made "Market Ready" meaning they must be aesthetically appealing inside and out. We are a licensed Realtor via EveryHome Realty, RS308044 and 1326862. We are an award winning company offering 2019 best in class services, especially designed to help you sell your home quicker and maximize the value of your home. We can help make your home market ready via our home downsizing, cleanout, de-cluttering and content liquidation services. Click here to learn more from our BLOG or to send us your comments. Click here for Personal Property Managers NEWS STORY. If you're a busy home owner, a senior in lifestyle transition or an investment property owner and need to downsize or make improvements to your property in order to get it market ready and attain top selling dollars and don't know where to turn or who to trust, you're in luck. Personal Property Managers is your one-call solution to handle all of your property renovations, upgrades and Market Ready needs. We specialize in handling all of your property needs. With PPM we can be your eyes and ears, attending to all your propeprty improvement needs. We manage and oversee all of your day-to-day property market ready, renovation and remodeling needs. We can document work done on your home or investment property and post it on our special web site. You will be given a special username and password to access pictures and comments of your home. Think how easy it will be for you to have one single-point-of-contact to handle all of your work. Now, you no longer need to contact multiple service providers. With Personal Property Managers one call does it all. We are fully insured and personally manage your property and your projects, coordinate and supervise contractors, and focus on completing tasks that you do not have time for. We will personally come out to your home or investment property for an on-site assessment of your market ready needs. We will provide you a "ballpark" estimate of any work that may need to be done and an analysis of the market comps and value of your home. If this is in line with your budget and expectations, we will then match our crews to meet your market ready needs to complete your project. We will then be on site to manage your project and report to you progress and next steps. We act as an advocate for you. We provide a complete one-call solution to handle all your home, investment property or commercial property needs. Personal Property Managers is mindful of the budgetary reality of getting your property ready for sale. Our Seller Acceleration Service, and senior life stye transition, downsizing and de-cluttering services allow you the convenience of having us on-site conducting property inspections, and digitally reporting them to you without the high cost of hiring full-time help. 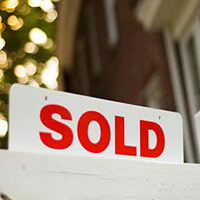 We help you maximize the selling price on your home. We believe that the key to our success in our Market Ready Services is in the personal relationships that we have developed with our customers. We are here to help you turn over your property as quickly as possible. Our services are designed to protect the value of your property and provide you with peace-of-mind and more time to do the things that you enjoy. Let us help you take care of the things that you just don't have the time to do. We are home sale acceleration specialists, focusing on properties in New Jersey and Pennsylvania. PA HIC PA03195. We service Pennsylvania and New Jersey. 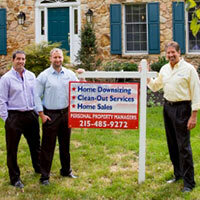 Discount real estate services and commissions in Bucks County, Montgomery County. the Lehigh Valley, the Delaware Valley, Philadelphia, Delaware County, Chester County. We service Northern New Jersey, Central New Jersey, South Jersey. Call us today to learn more about our full service discount real estate services for Pennsylvania and NJ .